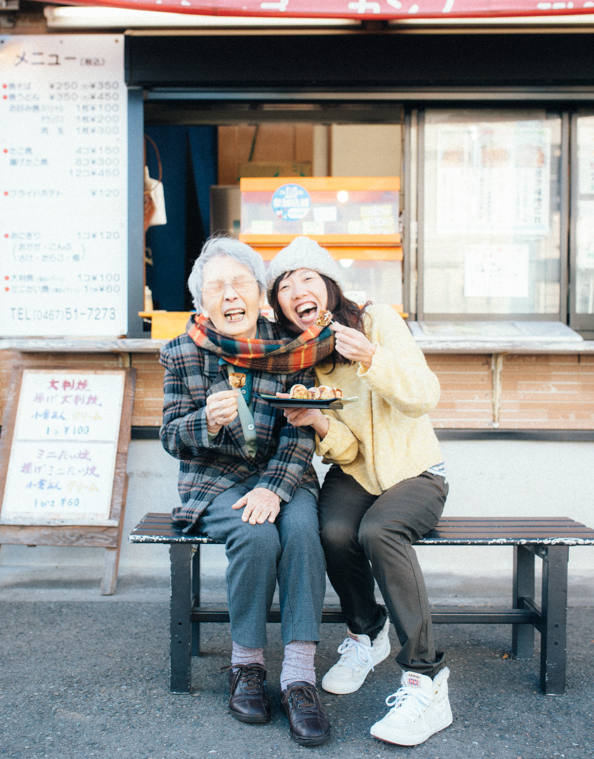 Kaori’s “rule of thumb” is ‘Let’s go wherever the person wants to go to.’ Then, on Chiyomi’s birthday, came the idea for both of them to visit the takoyaki shop run by Chiyomi’s family. Since Chiyomi herself had spent nearly two decades at the counter, she beamed on seeing the children who dropped by. Moreover, despite normally eating very little, this time – while exclaiming “It’s hot!” – she almost polished off a whole plate of eight pieces. From that day onward, Kaori felt a stronger bond with Chiyomi as well as smiles galore, she said. The next plan is for both of them to cook takoyaki together at “Yururi”.